Human rights are a set of principles concerned with equality and fairness. They are not a recent invention - ideas about rights and responsibilities have been an important part of all societies throughout history. Since the end of World War II, there has been a united effort by the nations of the world to decide what rights belong to all people and how they can best be promoted and protected. Every person has dignity and value. One of the ways that we recognise the fundamental worth of every person is by acknowledging and respecting their human rights. Human rights are a set of principles concerned with equality and fairness. They recognise our freedom to make choices about our lives and to develop our potential as human beings. They are about living a life free from fear, harassment or discrimination. Human rights can broadly be defined as a number of basic rights that people from around the world have agreed are essential. These include the right to life, the right to a fair trial, freedom from torture and other cruel and inhuman treatment, freedom of speech, freedom of religion, and the rights to health, education and an adequate standard of living. These human rights are the same for all people everywhere – men and women, young and old, rich and poor, regardless of our background, where we live, what we think or what we believe. This is what makes human rights ‘universal’. Who has a responsibility to protect human rights? Human rights connect us to each other through a shared set of rights and responsibilities. A person’s ability to enjoy their human rights depends on other people respecting those rights. This means that human rights involve responsibility and duties towards other people and the community. Individuals have a responsibility to ensure that they exercise their rights with consideration for the rights of others. For example, when someone uses their right to freedom of speech, they should do so without interfering with someone else’s right to privacy. Governments have a particular responsibility to ensure that people are able to enjoy their rights. They are required to establish and maintain laws and services that enable people to enjoy a life in which their rights are respected and protected. 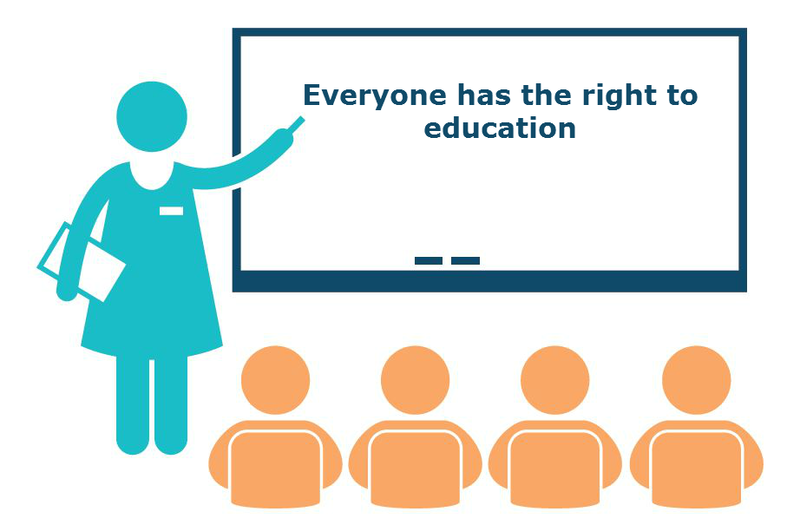 For example, the right to education says that everyone is entitled to a good education. This means that governments have an obligation to provide good quality education facilities and services to their people. Whether or not governments actually do this, it is generally accepted that this is the government's responsibility and people can call them to account if they fail to respect or protect their basic human rights. What do human rights cover? Human rights cover virtually every area of human activity. They include civil and political rights, which refer to a person’s rights to take part in the civil and political life of their community without discrimination or oppression. These include rights and freedoms such as the right to vote, the right to privacy, freedom of speech and freedom from torture. The right to vote and take part in choosing a government is a civil and political right. They also include economic, social and cultural rights, which relate to a person’s rights to prosper and grow and to take part in social and cultural activities. This group includes rights such as the right to health, the right to education and the right to work. The right to education is an example of an economic, social and cultural right. One of the main differences between these two groups of rights is that, in the case of civil and political rights, governments must make sure that they, or any other group, are not denying people access to their rights, whereas in relation to economic, social and cultural rights, governments must take active steps to ensure rights are being fulfilled. As well as belonging to every individual, there are some rights that also belong to groups of people. This is often in recognition of the fact that these groups have been disadvantaged and marginalised throughout history and consequently need greater protection of their rights. 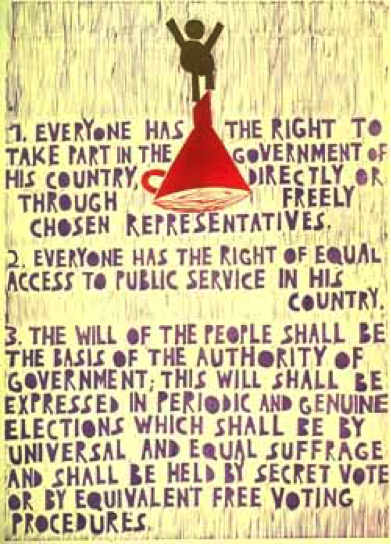 These rights are called collective rights. For example, Aboriginal and Torres Strait Islander peoples possess collective rights to their ancestral lands, which are known as native title rights. Rights that can only apply to individuals, for example the right to a fair trial, are called individual rights. Human rights are not a recent invention. Throughout history, concepts of ethical behaviour, justice and human dignity have been important in the development of human societies. These ideas can be traced back to the ancient civilisations of Babylon, China and India. They contributed to the laws of Greek and Roman society and are central to Buddhist, Christian, Confucian, Hindu, Islamic and Jewish teachings. Concepts of ethics, justice and dignity were also important in societies which have not left written records, but consist of oral histories such as those of Aboriginal and Torres Strait Islander people in Australia and other indigenous societies elsewhere. Ideas about justice were prominent in the thinking of philosophers in the Middle Ages, the Renaissance and the Enlightenment. An important strand in this thinking was that there was a 'natural law' that stood above the law of rulers. This meant that individuals had certain rights simply because they were human beings. In 1215, the English barons forced the King of England to sign Magna Carta (which is Latin for ‘the Great Charter’). Magna Carta was the first document to place limits on the absolute power of the king and make him accountable to his subjects. It also laid out some basic rights for the protection of citizens, such as the right to a trial. 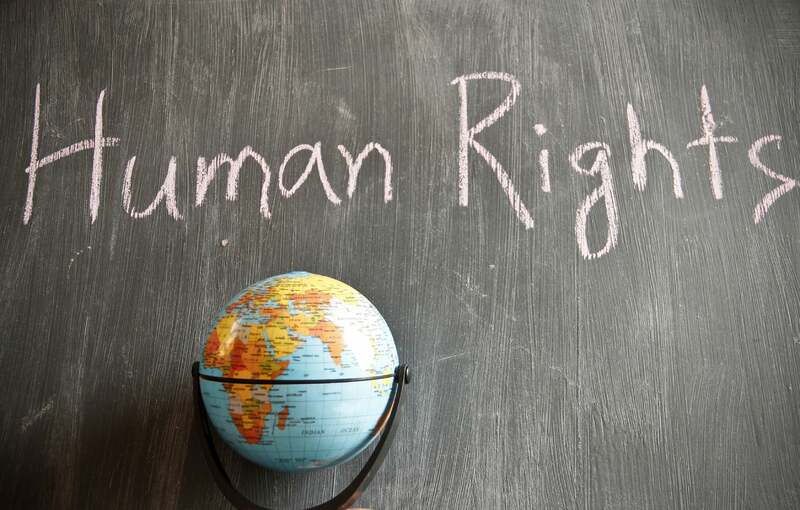 Significant development in thinking about human rights took place in the seventeenth and eighteenth centuries, during a time of revolution and emerging national identities. The American Declaration of Independence (1776) was based on the understanding that certain rights, such as ‘life, liberty and the pursuit of happiness', were fundamental to all people. Similarly, the French Declaration of the Rights of Man and the Citizen (1789) challenged the authority of the aristocracy and recognised the ‘liberty, equality and fraternity' of individuals. These values were also echoed in the United States’ Bill of Rights (1791), which recognised freedom of speech, religion and the press, as well as the right to ‘peaceable' assembly, private property and a fair trial. Find out more about Magna Carta and its human rights legacy by watching this short video or exploring this interactive timeline. The nineteenth and early twentieth centuries saw continuing advances in social progress, for example, in the abolition of slavery, the widespread provision of education and the extension of political rights. Despite these advances, international activity on human rights remained weak. The general attitude was that nations could do what they liked within their borders and that other countries and the broader international community had no basis for intervening or even raising concerns when rights were violated. This is expressed in the term ‘state sovereignty’, which refers to the idea that whoever has the political authority within a country has the power to rule and pass laws over that territory. Importantly, countries agree to mutually recognise this sovereignty. In doing so, they agree to refrain from interfering in the internal or external affairs of other sovereign states. However, the atrocities and human rights violations that occurred during World War II galvanised worldwide opinion and made human rights a universal concern. During World War II millions of soldiers and civilians were killed or maimed. 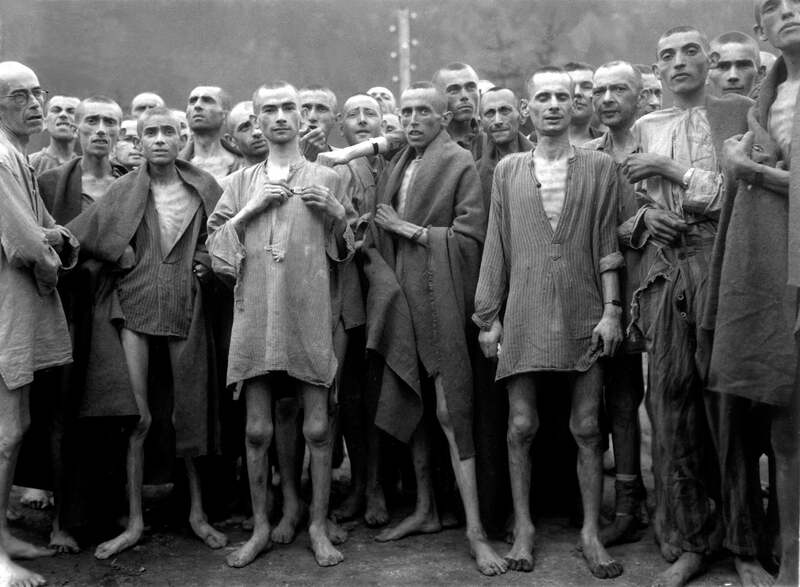 The Nazi regime in Germany created concentration camps for certain groups - including Jews, communists, homosexuals and political opponents. Some of these people were used as slave labour, others were exterminated in mass executions. The Japanese occupation of China and other Asian countries was marked by frequent and large-scale brutality toward local populations. Japanese forces took thousands of prisoners of war who were used as slave labour, with no medical treatment and inadequate food. The promotion and protection of human rights became a fundamental objective of the Allied powers. In 1941, U.S. President Roosevelt proclaimed the 'Four Freedoms' that people everywhere in the world ought to enjoy - freedom of speech and belief, and freedom from want and fear. The war ended in 1945, but only after the destruction of millions of lives, including through the first and only use of atomic weapons at Hiroshima and Nagasaki. Many countries were devastated by the war, and millions of people died or became homeless refugees. This new organisation was the United Nations, known as the UN, which came into existence in 1945.As the war drew to a close, the victorious powers decided to establish a world organisation that would prevent further conflict and help build a better world. to ensure the observance of human rights. 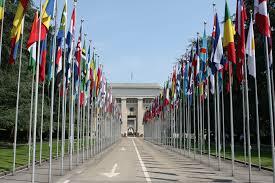 The UN's strong emphasis on human rights made it different from previous international organisations. UN member countries believed that the protection of human rights would help ensure freedom, justice and peace for all in the future. Read more about the work of United Nations on The International Human Rights System page. Values of tolerance, equality and respect can help reduce friction within society. Putting human rights ideas into practice can helps us create the kind of society we want to live in. In recent decades, there has been a tremendous growth in how we think about and apply human rights ideas. This has had many positive results - knowledge about human rights can empower individuals and offer solutions for specific problems. Human rights are an important part of how people interact with others at all levels in society - in the family, the community, schools, the workplace, in politics and in international relations. It is vital therefore that people everywhere should strive to understand what human rights are. When people better understand human rights, it is easier for them to promote justice and the well-being of society. Can my human rights be taken away from me? A person's human rights cannot be taken away. In its final Article, the Universal Declaration of Human Rights states that no State, group or person '[has] any right to engage in any activity or to perform any act aimed at the destruction of any of the rights and freedoms set forth herein'. This doesn't mean that abuses and violations of human rights don't occur. On television and in newspapers every day we hear tragic stories of murder, violence, racism, hunger, unemployment, poverty, abuse, homelessness and discrimination. However, the Universal Declaration and other human rights treaties are more than just noble aspirations. They are essential legal principles. To meet their international human rights obligations, many nations have incorporated these principles into their own laws. This provides an opportunity for individuals to have a complaint settled by a court in their own country. Individuals from some countries may also be able to take a complaint of human rights violations to a United Nations committee of experts, which would then give its opinion. In addition, education about human rights is just as important as having laws to protect people. Long term progress can really only be made when people are aware of what human rights are and what standards exist.